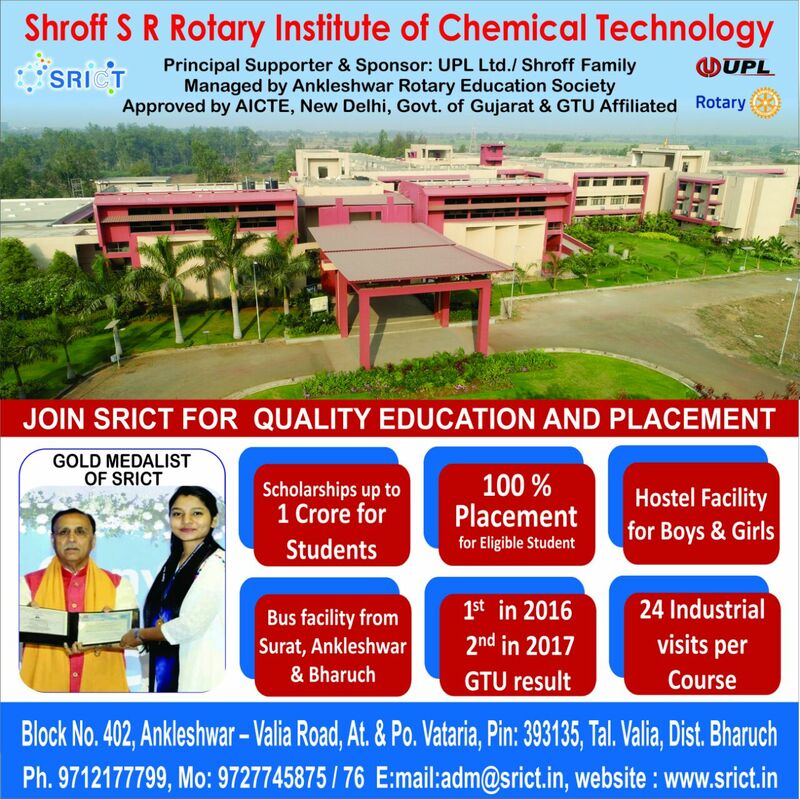 Since I joined SRICT from 2015 in Chemical Technology branch, I feel that I have got admitted to one of finest Engineering Institutions in Gujarat. The implementation of industrial approach in each of the work they carry out in tasks really fascinated me, especially 5S. Lecture, practical and tutorial sessions are delivered by most experienced faculties with respect to corresponding practical applications. Industrial visits and expert lectures are arranged to improve the practical knowledge and to realise state of art of in the field of technology. The institute also provides motivation and support to participate in various technical events in and out of Gujarat in addition to support that we receive from college for carrying out the academic research projects. Motivational prizes for improvement in academic performance is also provided for students along with cash prizes for conducting lectures for junior batches as a part of peer learning initiative. What makes SRICT unique is the way in which the relationship between management and students is nurtured. One has enough freedom to complaint from amount of sugar in tea in canteen to a new equipment in a lab. When the institute itself is younger than you, the learning process becomes two-way which makes it even more fascinating. SRICT is amongst the very few colleges that take special initiatives like 5S at work, Industrial visits and expert lectures for students, Peer learning to enhance senior-junior relations and many more on-campus and off-campus activities. I proudly say that I am an SRICTian. This is my privilege to write about this “FORTUNATE HOUSE” of education i.e. my SRICT. Yes I wrote fortunate house because SRICT always stands in top 3 in south zone of GTU along with it, it always stands with higher rank in whole GTU. This is all because of the hard work of management, teachers and students to achieve its goal each and every time. 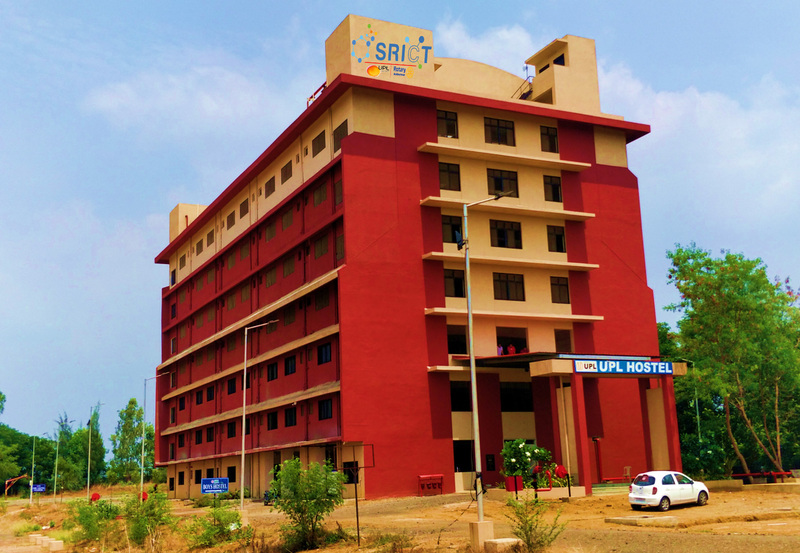 SRICT has the unique facility of felicitating the capable students after each semester which motivates every student to perform better. Another thing which I like the most is that it makes at least 3 or more industrial visits as well as expert lecture per semester which helps us to relate between theoretical and practical phase of our course and helps to develop one’s personality which is most important to stand in outside world. Last but not the least I would like to add the activity 5S which is being done here in SRICT. It is the first 5S certified engineering college of India. --Select Course-- B.E. D2D M.E.